eChai Ventures will be hosting the series of workshops related to ‘Fundraising for Startups’ at CIIE, IIM Ahmedabad as part of the #Innocity. The first ‘Fundraising For Startups’ session was held on 6th Oct, Friday where we had leading founders from the community who’ve raised funds for their ventures to share their experiences and insights with fellow founders. The second session will be about – Bootstrapping Your Startup – where we’ll have founders who are successful bootstrapping their ventures to share their insights & experiences. It will be held on 13th Oct, Friday from 6 pm to 8 pm at CIIE. The Third session will be about – Business Plan Masterclass – where we’ll have founders & experts to share their insights about Creating the successful business plan & Investors Pitch Deck, Do’s and Don’t’s while presenting a Business plan etc. It will be followed by an interactive dialogue with the participants. Venue: CIIE, New Campus of IIM Ahmedabad. Time: 6 pm to 8 pm. 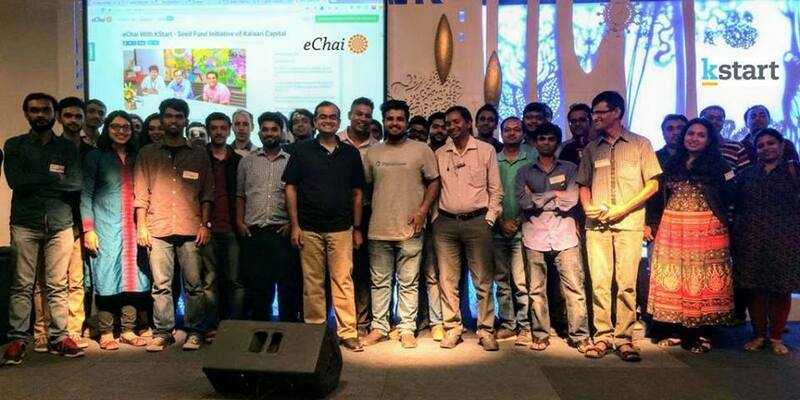 eChai is an amazing Startup Social Network which hosts engaging entrepreneurial programs across 40+ cities in India, a powerful online social network with members from across the world and also contextually curates info about global startup trends. eChai has recently introduced eChai Membership Program – where one can pay Rs.500/per year to become the eChai Member. Innocity is an initiative by CIIE and Startup Oasis and is a highly customized startup incubation platform. Innocity enables professionals, mentors, startup founders, angels and other startup service providers to offer customized, specific and relevant services and support to startups – which as available as standalone modules. Entrepreneurs can book modules online but the modules will be scheduled as in-person workshops, meetings, events and mixers. Innocity therefore is not an ‘online’ incubation platform but enables entrepreneurs to take in-person workshops and courses.